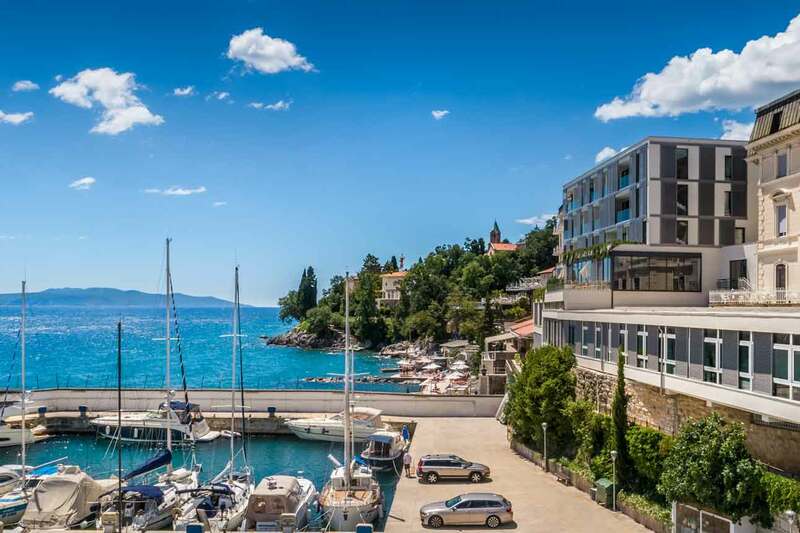 Choose the Hotel Istra in Opatija, which is ready to welcome you with special decoration and atmosphere. The Hotel Istra is a perfect choice to see in the New Year 2015. We have prepared excellent food and an entertainment programme with live music and dance. Start the evening with Dalmatian pršut dry-cured ham, sheep cheese, smoked salmon and fish terrine, and continue with Mediterranean specialities, venison ragout and many other carefully selected delicacies. The Trio Mirma will take care of good atmosphere not only on New Year's Eve, but also on the evening after, when you can relive the New Year's party. Guests of the Hotel Imperial and the Hotel Palace Bellevue will have the opportunity to see in the new Year 2015 in the magnificent Crystal Hall of the newly refurbished Remisens Premium Hotel Kvarner, which is known as the oldest hotel on the Adriatic. The dinner menu reflects the elegance and the distinctive features of the venue. See for yourself what we have prepared for you. The party will continue until early morning hours with the Band L'amour, which has been entertaining guests at numerous parties and concerts all over Croatia for the last 15 years. Opatija's Open Air Theatre is ready to welcome you with hot atmosphere, excellent company and varied musical programme. Do not miss the opportunity to spend an unforgettable New Year's Eve in Opatija with DJ Luca Montecchi who has prepared a musical repertoire with hits from the 70s and 80s. Another year is about to end, therefore it is important to see off the old year and begin the new one in the best possible way. See in the New Year 2015 in Opatija – we hope that all your New Year's wishes will come true.